Every warehouse & distribution center should have routine safety training before workers' shifts start. Training topics can vary, depending on the operations and activities at a particular location. Here is a suggested calendar of safety training topics throughout the month of November. 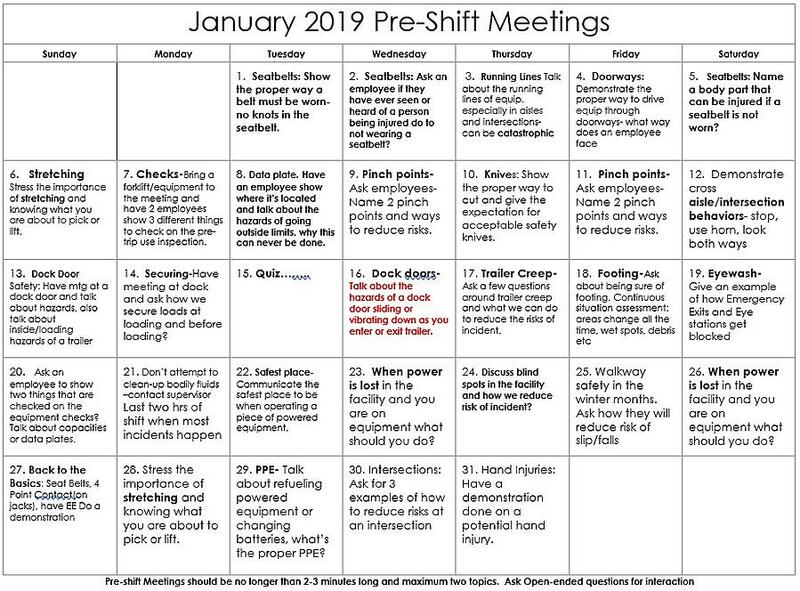 Please feel free to share this safety calendar with you team, and visit our safety blog regularly to receive all of the latest and greatest safety tips and tricks to minimize workers' risks when working. 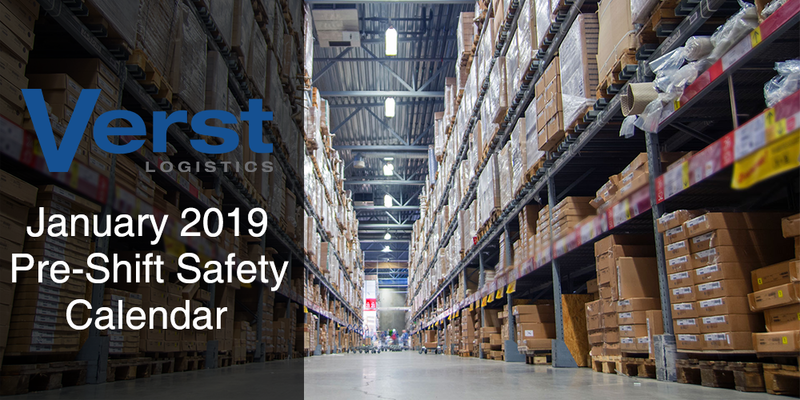 Verst is an Inbound Logistics Magazine Top 100, asset-based, third party logistics and packaging provider serving business-to-business customers for over 50 years. Our business is to provide your business with the logistics and packaging resources that help you extend your capability to better serve your customers. Ready to unleash your company's potential by outsourcing logistics? Click on a service below to request a quote. Service not listed? Click here. A Verst Logistics expert is available by email or phone. Simply click on the contact button below.